Today on the BobcatsHockeyBlog we look at our projected 6th place ECAC finisher, the St. Lawrence Saints who are coming off a 4th place finish in the ECAC a season ago. Jack Lyons of the SLUHockeyblog was gratuitous enough to write a guest preview for the BobcatsHockeyBlog on Saints this season. You can follow him on twitter @sluhockeyblog. Departures: Gavin Bayreuther (D), Kyle Hayton (G), Eric Sweetman (D), Ben Masella (D), Mike Graham (D), Alex Dahl (F), Drew Smolcynski (F), Woody Hudson (F). Additions: Cade Gleekel (F), Callum Cusinato (F), Jake Stevens (D), Bo Hanson (D), Keenan Suthers (F), Phillip Alftberg (D), Cam Gray (D), Dylan Woolf (D). With a new head coach, Mark Morris, at the helm the Saints battled injuries throughout the season, with only two defensemen playing in every game: senior Ben Masella and rookie Ben Finkelstein, a sixth-round draft pick of the Florida Panthers. SLU ultimately failed to advance to Lake Placid for a third straight year. Finkelstein will have to play an increased role for the Saints this year, who graduated four starting defensemen, and saw all-American goaltender Kyle Hayton transfer to Wisconsin. Defense has been the staple of St. Lawrence hockey for the last three seasons, but that could change this year. Expected starter Art Brey has shown he can be a solid goaltender over the past two seasons, and now he’ll get a chance to prove his worth as a starter. The Saints appear to have the most talent at forward they’ve had since 2013-14, when they boasted both Carey brothers and Jeremy Wick, all who finished with more than 30 points. Coming off an injury plagued season, Mike Marnell’s health will be of crucial importance for the Saints. He scored 13 goals in 15 league games last season as a junior, but battled injuries throughout the year. If he is healthy, he can be a game-changing forward with speed and the ability to finish. 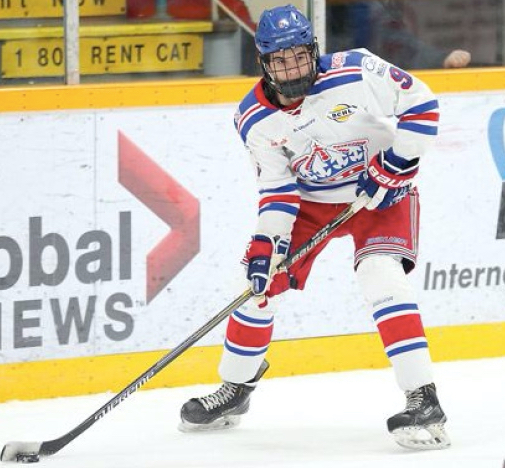 They also welcome Cade Gleekel, a former Mr. Hockey finalist who had 22 goals in 23 games during his senior season at Benilde-St. Margaret’s and put up 45 points in 57 games with Merritt in the BCHL last year. Mike Laidley returns from injury as well and should center the Saints top line. The defense will have some serious adjustments to make. Losing Gavin Bayreuther, Eric Sweetman, Ben Masella and Mike Graham means the Saints have to replace four starting defensemen. 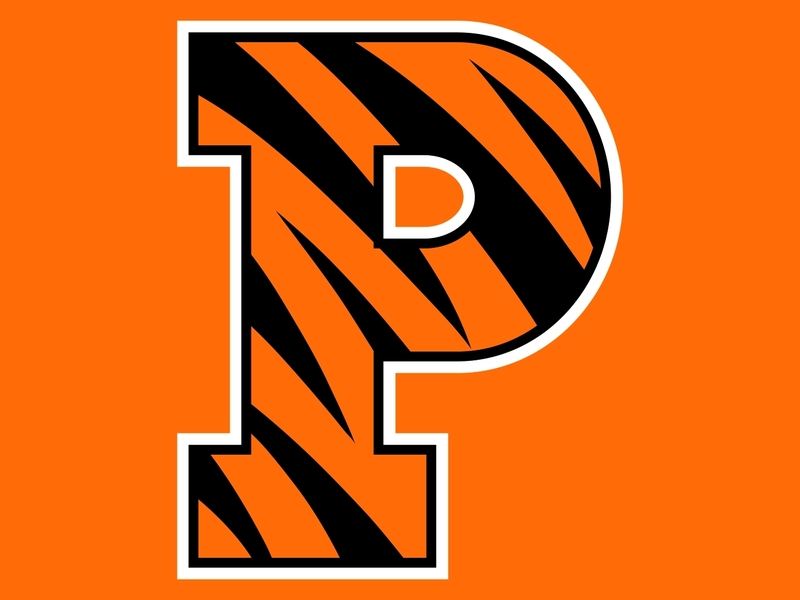 Their two returners, Finkelstein and Nolan Gluchowski, are solid two-way defenders, but neither has ever had to shoulder the load as the number one defender. How they perform in the early season will be something to keep an eye on. In short, SLU’s offense should be the best its been in several years, considering they still have two great puck-moving defenseman and welcome another in Jake Stevens, but the defense and goaltending loom large as points of concern for the Saints in 2017-2018. With as much roster turnover in key spots as the Saints have, it’s tough to imagine them locking up a fourth straight bye in round one of the ECAC tournament. Today on the BobcatsHockeyBlog we look at our projected 7th place ECAC finisher, the Yale Bulldogs who are coming off an 8th place tie in the ECAC a season ago. The 2016-2017 campaign ended with only the second losing season of the Keith Allain era at Yale and the first since 2006-2007 which was Allain's first season in New Haven. In his 11 seasons at Yale, Allain has taken the Bulldogs to six NCAA tournament appearances along with winning the 2013 NCAA National Championship. He has been the most successful coach in the history of the program and set a standard for excellence with the program. Yale will have to replace 43% of the goals scored last season as John Hayden who led the team with 21 goals graduated along with Frankie DiChiara (10 goals), Mike Doherty (7 goals) and Chris Izmirlian (5 goals). They return junior leading scorer Joe Snively (39 points) who is a preseason All-ECAC 1st team selection. Two others expected to be a big part of the offense are senior Ryan Hitchcock and junior Ted Hart. Yale will need more production from the likes of Charlie Andrew Gaus, Robbie DeMontis, Luke Stevens and the Smith twins (Evan and Mitchell) to make up for the scoring they are losing. Yale returns five starting defenseman and adds Phil Kemp, a 2017 7th round pick of the Edmonton Oilers who played the last two season with the United States National Team Developmental Program. They should see improvement to a defense that struggled at times a season ago. Players like Adam Larkin and Charlie Curti also provide some offensive punch on the blue line as well and will need that contribution once again. Sophomore's Billy Sweezey and Chandler Lindstrand should see themselves much improved as well as Sweezey was tied for the team lead as a plus 13 a season ago. Sam Tucker is the only goaltender returning that saw game action last season and finished the year with a 3.05 goals against average and a .899 save percentage. Sophomore Corbin Kaczperski and freshman Nicholas MacNab figure to battle it out for the starting job with Tucker. I cannot see a Yale team having back to back losing seasons under Keith Allain who has built a consistent program in his tenure in New Haven. Some of the younger players likely will get better but to me they need to find consistent goal-tending as well. It's possible that Keith Allain misses upwards of six games this year being part of the USA Hockey staff at the 2018 Winter Olympics with Quinnipiac, Princeton, Cornell and Harvard in that stretch of games. That will be a challenging part of the season for Yale to see how they will play without their leader behind the bench. This is a team that should get home ice for the first round of the ECAC playoffs as I just don't think they will be good enough to reach the top four in the ECAC to get a first round bye. Today on the BobcatsHockeyBlog we look at the projected 9th place ECAC finisher, the Dartmouth Big Green who are coming off a 9th place finish in the ECAC. Expect more of the same from Dartmouth this season as you have seen in the past. 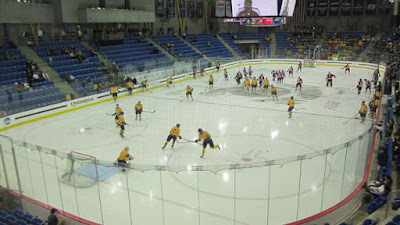 They will compete but won't be good enough to be in the top four and will be battling just to get home ice in the first round of the ECAC tournament. The Big Green are a program that hasn't reached the NCAA tournament since the Jimmy Carter administration which was 38 years ago. 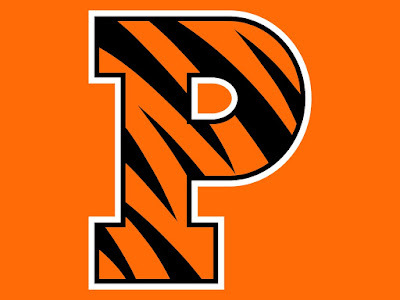 I would expect that streak to continue as I see this is a program stuck in neutral that really doesn't make a huge effort to make hockey a priority at the prestigious Ivy League college. The Big Green's coach Bob Gaudet has had some decent seasons in the past but rarely has his program been a huge factor in the ECAC with the 2016-17 season's trip to the ECAC semifinals being a highlight recently for the program. The team's leading scorer has departed in the recently graduated Troy Crema whose 29 points were six more than Corey Kalk who will be a senior this year. Dartmouth will need increased production from Kalk, Will Graber, Alex Jasiak and Cam Strong. Others will need to step up as well if Dartmouth is to be better than a bottom four team in the league. One thing that the Big Green will need to see vast improvement is on defense. Dartmouth last season gave up 3.58 goals per game which was well into the bottom third of the NCAA. Four upperclassmen return and the Big Green also bring in three freshman on the blue line with two of them coming from the USHL in Joey Matthews and Brendan Demler. Senior Devin Buffalo returns in goal but he struggled at times last season and finished with a sub .900 save percentage and a goals against average over 3. With 17 of the 29 players on the roster underclassmen it will be a tough season in Hanover, New Hampshire. In order for Dartmouth to be better than expected they will need the defense and goal-tending to really improve along with finding more scoring. The Big Green will play teams tough but they just won't be good enough to be considered a big challenge in the ECAC. Today on the BobcatsHockeyBlog we look at the projected 10th place ECAC finisher, the RPI Engineers who are coming off a 11th place finish in the ECAC. 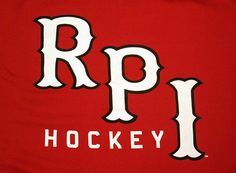 It is a new era in RPI hockey as former head coach Seth Appert was let go after the program suffered the worst season in the history of the program at 8-28-1. He has been replaced by former Canisius head coach Dave Smith which was a surprising and unexpected hire. 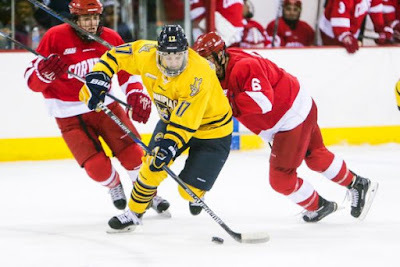 Smith led Canisius to the Atlantic Hockey regular season title in his final year in Buffalo and had taken the Golden Griffins to one NCAA tournament appearance back in 2013 when they put a scare into Quinnipiac in the first round. Expect the Engineers to play much harder under Dave Smith who is a solid coach. There is some returning talent to work with in junior forward Evan Tironese (28 points), sophomore forward Jacob Hayhurst (20 points), senior forward Viktor Liljegren (18 points) and senior defenseman Jared Wilson (17 points). RPI in fact returns 8 of their top 9 scorers from a year ago minus their top scorer Riley Bourbonnais who graduated. They will have seven freshman forwards headlined by Jaren Burke who had 53 points in the CCHL and Troy York who had 41 points in the NAHL. It's likely that the offense will take time to gel and it will take a few years for Smith and his assistants to bring more talented players up front for the Engineers. Seven of the eight defenseman return from a season ago but combined those players were a minus 91. That has to change if the Engineers want to improve upon last years record. If it doesn't it could be a long season in Troy once again. Goaltender Chase Perry figures to get the bulk of the load in net with fellow net-minder Cam Hackett departing the program after being suspended last season. A 5th round draft pick in 2014 by the Detroit Red Wings, Perry finished the 2016-17 season 6-20-1 with a 3.35 goals against average and a .906 save percentage. I would expect those number to improve with the new coaching staff putting the Engineers players in better positions to succeed. I wouldn't expect an immediate turnaround in Troy but if RPI can play harder and be a tough opponent this season, that should make the fans and alums in the Capital region excited for the future to come. RPI should start to see the fruit of Smith's labor within the next 3-4 seasons as he implements his style of play and the type of recruits he wants to bring in. In the month of September the BobcatsHockeyBlog will be counting down to the start of the 2017-18 ECAC season with a look at the upcoming year for each of the twelve programs. Today, we start with our projected last place finisher, the Brown Bears. Since reaching the ECAC championship game at the end of the 2012-13 season it has been a downward trend for Brendan Whittet's program as the Bears won 11, 8, 5 and 4 games since winning 16 games in the '12-'13 campaign. The Bears 2016-17 season was the worst in Whittet's eight seasons in Providence and the programs worst since the year before Whittet took over as coach of the program. The bad news is Bruno was one of the worst teams in the country scoring goals a season ago with just 66 the entire season. The good news is that 60 of the 66 goals are returning for the Bears which includes three key seniors in Charlie Corcoran, Sam Lafferty and Max Willman. Those three players combined for 39 goals and and 50 assists. They played on a line together at times last season and could be one of the better lines in the ECAC should they find themselves together again. 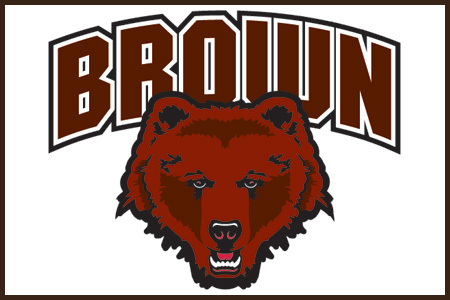 A couple of freshman in forwards Chris Berger and Colin Burston should help contribute to boosting the offense but it likely won't be enough to make a huge difference in moving the Bears up in the ECAC standings. The Bears were the second worst team in the country on defense giving up 4.26 goals per game. They will need to see some improvement from some of the returning players in order to avoid another poor season on the blue line. They added two freshman in USHL veterans Tony Stillwell and Anea Ferrario who have 229 games of experience in the league combined. Both of those players should be able to help improve a poor defense from a season ago. Gavin Nieto is expected to be the starter in net and while his stats don't look great from a season ago, a lot of it had to do with the players in front of him. It's been 25 years since the Bears last NCAA appearance and over 40 years since they last appeared in a Frozen Four. Don't expect either for the Bears this season as the program looks to just improve upon its four wins from a season ago.